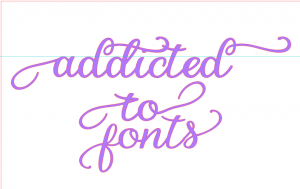 Fonts, Fonts, everywhere! Fonts are perfect for designing your own quotes and cutting with vinyl to put on a Wooden Plaque, Mugs, Glass Blocks etc. 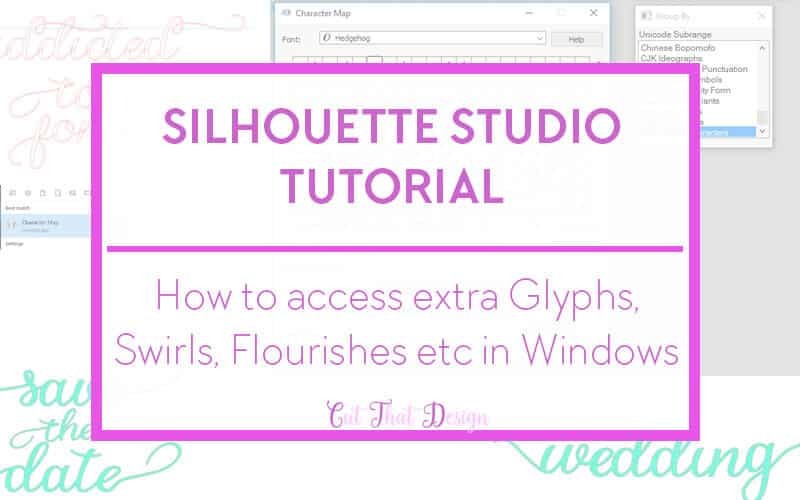 You would normally need fancy software to access extra Glyphs, Swirls, Flourishes and Font Characters, but with PUA encoded fonts you can access these within your Silhouette Studio Software on your windows PC. 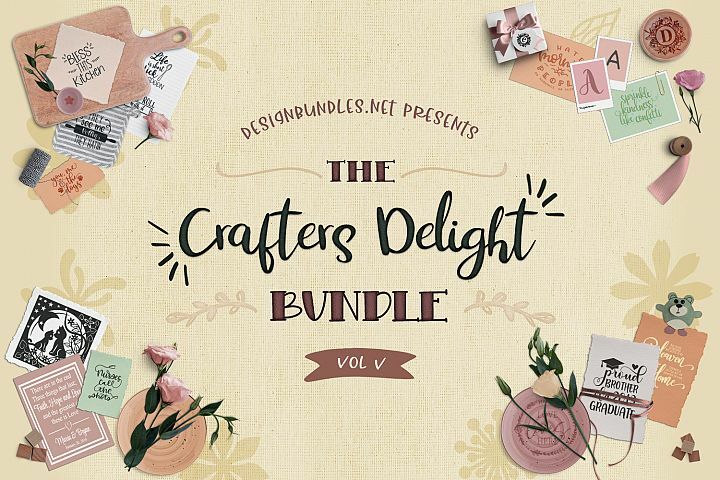 1; First off download the font from the download link, the download link will be wherever you have purchased your font from, you may have even had an email with the download link. Once you have downloaded, navigate to the downloads folder on your PC. Unzip the file by right clicking and selecting ‘Extract all’, choose a file you want the font to be ‘extracted’ too. 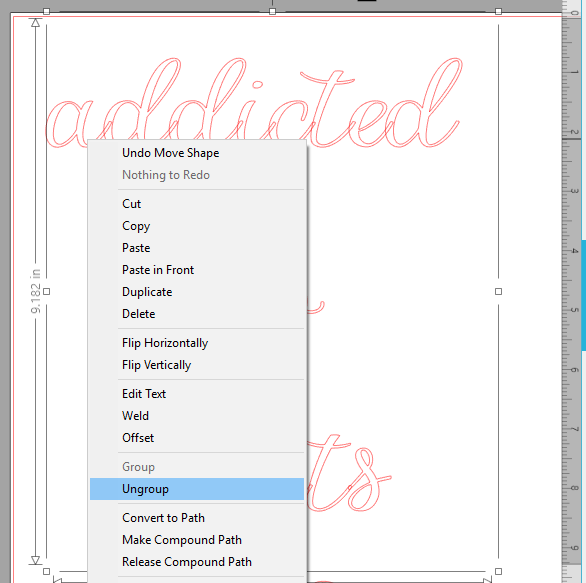 For further guidance, check out my tutorial on how to unzip files here. Once you have downloaded and extracted the font files, navigate to where you extracted the files to. 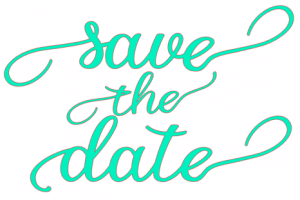 Click on either the TTF or OTF file, either one will work. 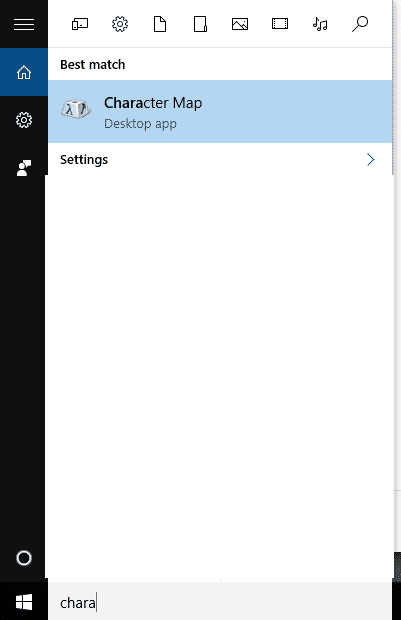 The following preview will pop up on the screen, click install. 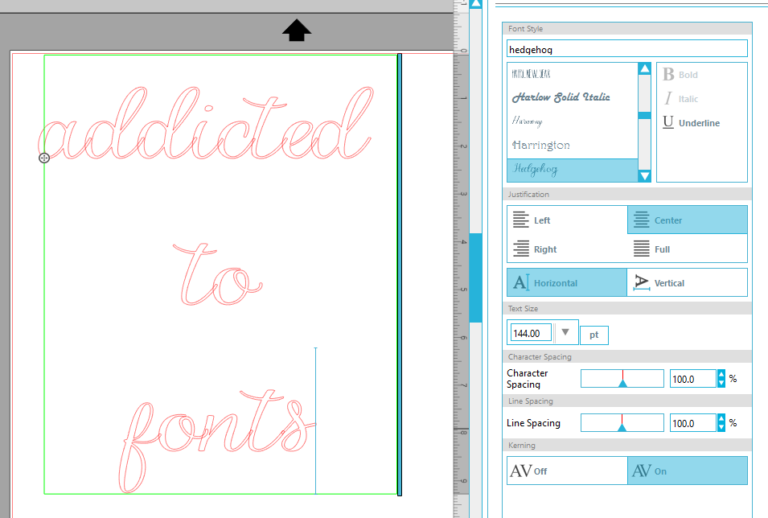 The font will be installed and will now be accessible via Silhouette Studio. 2; Open Silhouette Studio as you normally would. Now using the text style box on the right, select the font you want to use (it has to be one you know is PUA encoded and has different glyphs) I’m using the Hedgehog font from the Hungry JPEG – which is currently only $1 and comes with a Full Commercial License – Bargain! 3; Using the search function on your PC type in Character Map, once found click on it to open the character map. 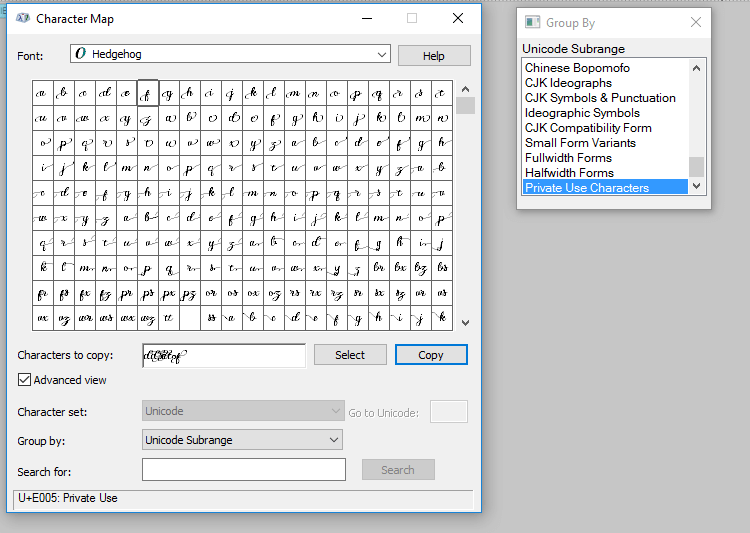 To access the special characters, tick the ‘Advanced View’ Box, in the Group by drop down box choose ‘Unicode Subrange’, a little box will pop up on the right, select the ‘Private Use Characters’ option. This box will not disappear and will stay on the screen. Now choose the characters you want to replace by clicking on the character and pressing the select button, this will then appear in the ‘Characters to copy’ box. If you have more than one character you want to change, then follow the same process, and that character will appear in the same box. Once you have selected your new characters, click on ‘Copy’. 4; Now you need to paste the characters you’ve copied in to Silhouette Studio. First select the text tool and click anywhere on the screen (Don’t worry about where as we can move the letters once we have pasted them). Ensure the Blue Cursor’ is flashing or it wont paste. Now to paste the characters, Ctrl-V or right click and paste. Don’t worry if when you paste and your characters all look like this, all mashed together. That’s perfectly fine, as they will be ungrouped eventually. 5; This last step is to replace the new characters with the old characters. Delete the old characters and put the new ‘fancier’ character in its place. 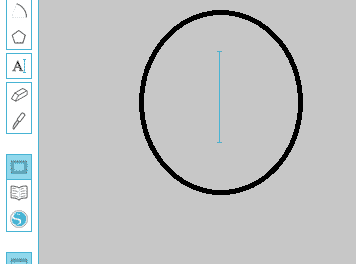 You can either position it by eye or use the ruler to line the new characters up with the bottom of the other characters. Here’s my finished phrase with the ‘fancier’ characters added. All that is left to do now is weld. Select, Right click and select weld. Or if you think that the font looks a little too thin, you can apply an offset, this will automatically ‘weld’ the letters once the offset is applied. I applied an external offset of 0.02. Here is my finished phrase, fancy characters added and welded. 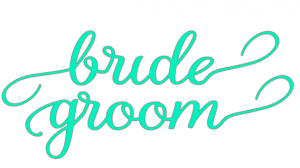 I think this font would be perfect for wedding themed items, here’s a few ‘wedding’ themed phrases I mocked up quick in Silhouette Studio. 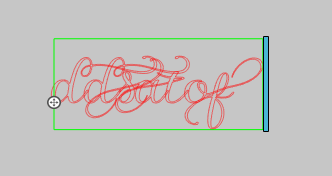 It’s so much fun experimenting with the special characters of different fonts. 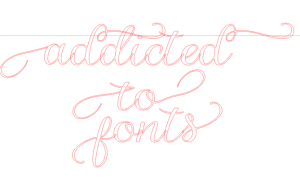 So much so I can spend hours doing it without getting any work done….oops. 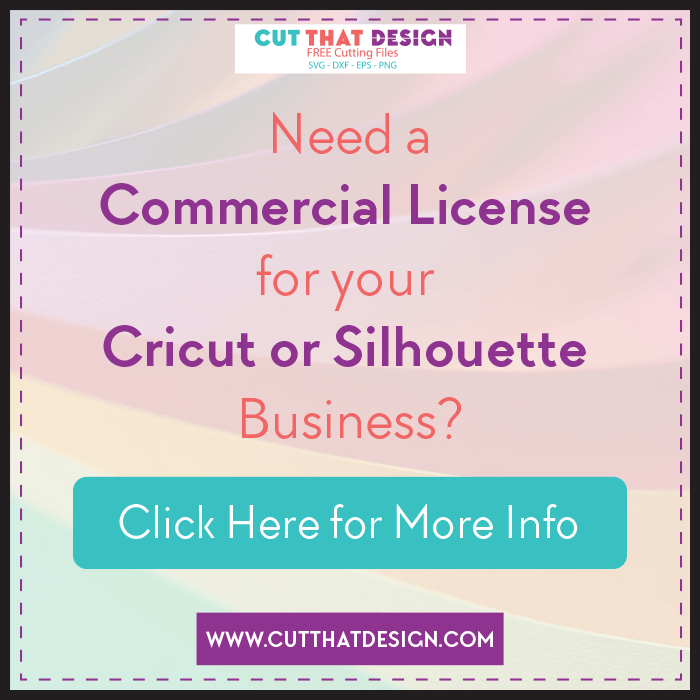 Thank you so much for reading, I really hope this post has helped and inspired you to go that one step further with designing in your Silhouette Studio Software. Feel free to share your creations with me on Pinterest,Facebook or Instagram, I’d love to see ?